If the World Cup is not your thing, then look away now. But if you have a passing interest in leadership and how the manager of England can teach us a thing or two about the art, then read on. On the eve of the greatest game this nation has seen for more than a generation, we need to revisit the last time we found ourselves in this situation – Wednesday 4th July 1990 and the semi-final of the greatest tournament in the world. Living in Liverpool as a trainee teacher at the time, 1990 was a watershed year. Not only did it herald a brand new decade, but it arrived full of hope and expectation. The people of Liverpool were still coming to terms with Hillsborough and the ravages of 80’s Thatcherism. Reagan had now gone and his mate Gorbachev was well on the way to receiving his Nobel Peace Prize of that year. The cold war started to feel just that little bit warmer, the Berlin wall was nothing but rubble and England were marching on in the World Cup finals. As a newly qualified teacher about to put the world in motion, New Order dominated the airwaves for a fortnight leading up to that fateful night in Turin. Half an hour down the East Lancs Road, that upstart city was smashing the music scene, not least with the birth of the Mondays’ Madchester movement. The Stone Roses and Inspirals all got in on the act that year but for me, none more so than James, with their much looked-over anthem, Come Home. Oh, how we wished football would do so that night. It didn’t of course. Several weeks later I found myself still taking it out on the Banda machine in the staffroom as an NQT. Little did I know that it would be another 28 years before England get to do it all over again. So here I am hammering away at the keyboard, wondering where on earth the time went. Euro 96 offered temporary relief. I was fortunate enough to get a suite of tickets, including group games at Anfield and Old Trafford, a semi-final (not England) and the final. I cannot tell you how excited I was to be seeing Gazza, Sheringham and Shearer at Wembley. What a team! It was two days after my birthday. I was due to get married later that year and we’d just bought our first house. I was high on life. Even the hapless Stuart Pearce redeemed himself that night. And then up stepped Gareth Southgate. You can imagine from that moment on I was never going to be his greatest fan. In fact I hated the man with a passion, refusing ever again to step into a Pizza Hut. In that one stupid kick he ballooned sky-high my hopes and dreams to see England in a final at the home of football. Instead, I had to endure the lucky Germans once again ride their luck. We winced as they robbed us once more, this time having the cheek to steal it from our own backyard on the back of a Golden Goal. Heck, they didn’t even know they’d won the thing at the time and in so doing denied us the fun of penalties, ever the party poopers. The passing of time has been kind. I’d by and large forgotten all about Gareth Southgate until he popped up as the FA’s head of elite development 15 years later. I do remember thinking, oh well, that’s another generation of young talent wasted. But I was wrong. And now, after almost three decades, I want to put it right. The man oozes class, not just in the understated way he goes about his business, but in the way he engages with people. There is a genuine warmth in his eyes and as gatekeeper he is always willing to let (the right) people in. He epitomises what it means to be a host leader. He looks the part as well, suave and in control. He understands the importance of branding. The FA may well have given him the blazer, but he has the confidence to ditch it and be seen only in his now legendary waistcoat. For those of us who were taught at headship school never to be seen without your jacket, this makes for welcome relief (especially in this heat). It may be a philosophical cliché, but as maxims go, ‘know thyself’ resonates throughout the camp. This team of players know themselves exceptionally well. They are the first to concede that individually they are not world-beaters. Be truthful, how many of you had to Google the likes of Pickford, Trippier and Maguire when we played Tunisia? Hardly any of them would have made it into the starting line-ups of the seeded teams. I read last week that the Swedish press actually like us as a footballing nation now because the arrogance and swagger shown by previous A-list players has gone. This new-found attitude starts and ends with Southgate. He knows the limitations of his team and creates a system to accommodate this. He is honest about himself as well. When questioned about his penalty miss, Southgate’s answer was as refreshing as it was insightful: ‘I wasn’t technically good enough to perform that particular skill under pressure.’ He didn’t lay the blame elsewhere, just parked it, dusted himself down and went again. And now, here he is, ex-manager of Middlesbrough, about to grab the greatest prize of all. Southgate knows that any successful organisation needs a strong spine right down the middle. Everyone instinctively knows who these people are. They are the ones you go to, the ones that always put in a shift above and beyond, no matter what. They step up, especially when the chips are down. The spine is what connects the brain to the heart, hands and feet. The key to high performance is to do your job consistently well, day-in, day-out. It’s no good to anyone stepping up only when you fancy it. The same applies in sport, especially across the course of a long season, be it football, formula one or tennis. All elite performers know this, teachers especially. Southgate’s spine of Pickford – Stones – Henderson – Kane means that the team finally has a permanent back bone that not only props up the team but acts as the central nervous system for the team’s performance, health and well-being. Successful leaders have a strong sense of Objective, Strategy, Tactics and Gareth Southgate is no exception. As manager, he knows that the single objective to win the world cup needs to drive all that they do as a team. Even at the start of the competition when no-one thought they had a hope, I’m convinced he told his players that this was their objective, their destination. He must have told them it enough times because you can now begin to see that they finally believe it. With the objective and associated strategy in place and understood by all, the manager has stuck to it, regardless. He hasn’t tinkered with the system and has stayed true to his beliefs. The players all know what is required of them and why. For the first time ever we don’t have square pegs and round holes. Decide on your strategy first, communicate it with everyone, and then build your tactics around it. When the strategy starts to waver, stick by it and instead change your tactics so that you get the job done. And if need be, write the tactics down on a water bottle and pass it to your keeper during a penalty shootout. It’s called preparedness and it works wonders. What is remarkable about this set of players is that many of them have been playing together for years, in most cases under the watchful eye of Southgate. Although the team may appear youthful and inexperienced, as a unit overall they have come through the ranks together. Seven of the current squad all played for Southgate at Under-21s, Kane, Dier and Lingard included. There are massive lessons to be learnt here about the importance of nurture, succession and the role effective talent management can play, particularly when developing youth. The role of the leader is crucial in making it clear to his team that he’s not a quitter. He is in it for the long term. This England squad was always meant to be a work-in-progress, with one eye on the World Cup in four years’ time. The Euros in 2020 were to be the real test. This was just a dress rehearsal. The reason it’s now become the main stage is because there is buy-in at every level. The team enjoy what they do. Players know that if they mess up, they can go again. The crippling fear of failure has been removed. The prevailing culture is no longer about individual egos but the development of the team over time. It’s about continuous improvement at all levels where every marginal gain counts. You sense almost a siege mentality when the players cross the white line, something we’ve not seen before. At long last we seem to have a team of players that understand that they don’t own the jersey, just the body within. Above all, they sense that there is a legacy to be left behind; that they are the privileged chosen few to play for the England yet to be born. Finally, the three lions seem to mean something. Being a leader can sometimes be a lonely job. When you think about it though, it really ought not to be. Nobody leads in isolation, on their own or in a team of one. We all operate within the world of leadership teams, governing bodies, sub-committees and the like. Human Beings are sociable creatures and we like to surround ourselves with people who have our back and who complement, challenge and support us. So how do we end up in situations where we sometimes feel so isolated? Anyone who has had to face up to Ofsted will know exactly what I mean, especially when it’s your name that ends up on the front of the report. Inspection can make or break a headteacher’s career and nobody likes to be told that they are not very good at what they do. Social media doesn’t help. Despite its name, there’s nothing social (or sociable) about being called out on Twitter, especially by supposed intelligent professionals. Unfortunately, this type of behaviour seems to be on the increase, particularly by those that have never led a school or choose to hide behind their profile. Heads who put themselves out there are easy targets for those with a blunt axe to grind. Only last month I was told on Twitter by a charming lady who has never met me to sling my hook. She eloquently went on to inform me that I’m petty and punitive and that I’m sucking the integrity out of the system. Quite extraordinary behaviour from a person who could unknowingly be working alongside you in a school, claiming to be a teacher. Too many confuse their so-called right to speak freely with being down right rude. That said, where social media does have its advantage is when it allows heads to reach out to others – like-minded souls who understand their plight and can relate in some way to their frustrations. Take a rogue inspection, for example. Although these thankfully are rare, it seems to be happening far too often of late. Ofsted don’t seem to like it when heads reach out and share their concerns because it’s seen as scaremongering. If your inspection went well, that’s okay, go ahead, share all you want. Ofsted may even give you a retweet. But if it goes pear-shaped, please keep the noise down. Apparently it undermines all the work being done to bust the myths. But all we are doing is being entirely natural and trying to connect up with similar folk in an attempt at changing something. In his Ted Talk of 2009, Seth Godin talks about this behaviour as being entirely normal, a condition in fact that he actively encourages. As humans, we have a natural propensity to want to join up, to connect and form tribes with like-minded people to try and change something. The creation of tribes are essential if we are to change anything, both sociologically and metaphorically. So what we should do as leaders is attempt to make connections with people with similar ideas and beliefs (including those on the fringes) and get them to join us. What is crucial here is that they join you not because you force them to, but because they want to. It’s how movements begin. You only need to look at #WomenEd and the recent #NewVoices to appreciate what can be done. The best MATs understand this. This is no different to how you create a powerful school. When you want to change anything, especially if it’s the status quo, what you are saying to your team is, ‘This one’s important. We need to organise around this. Who’s in?’ This is when we need to circle our wagons, to create some sort of siege mentality. At this point, the tribe needs to return to base camp and be clear about what it intends to disrupt. Those of you who have read my book will know all about the importance of creating a base camp. Base camp is a safe place personal to you where you go often, to re-energise, reflect and re-calibrate. Everything that you do as a leader begins and ends here and it comes down to just three things: who you are as a person, what you believe in and the values that bind you. For any of you that have ever scaled an Everest-type mountain, you will know that you can’t go straight to the top, as tempting as it may be. Instead, you need to climb high and sleep low, returning each night to base camp to rest and recover and acclimatise to the harsh conditions before climbing a bit higher the next day. I might never have climbed such a mountain before, but as a headteacher I’ve always believed I could move one. A base camp that is forever on the move and adapting to the environment is the key to achieving this. (3) I got to hear Professor Steve Peters open the conference with a keynote about the Chimp Paradox. Steve Peters is an amazing speaker. He is also a great author. His groundbreaking book The Chimp Paradox is essentially a mind-management tool that helps to explain the daily struggle that we all face when dealing with our inner Chimp. Peters has helped all sorts of people deal with their Chimp, including Sky Pro Cycling and Liverpool FC, as well as everyday folk who lead and live busy and stressful lives like you and me. We all have an inner Chimp and almost every day we do battle to keep it under control. The good news, is that it can be done, but only if we surround ourselves with the right kind of people and have a clear understanding of who’s in our tribe. We must never leave ourselves vulnerable by allowing ourselves to become isolated. The Chimp exists in the limbic system of your brain and is your emotional machine. The paradox in the title of the book refers to the fact that the Chimp can be your best friend and worst enemy if you don’t know how to control the pesky little thing. One of the ways that the book suggests you can do this is by building a support network, a tribe of people, both at home and at work that have your back, that you can rely on, and that are part of your inner circle. They are always welcome in your base camp. He calls this your troop and that if you have the wrong people in it, the results can be disastrous. Let me tell you this much. Nothing provokes and winds up my irrational little Chimp more than Ofsted. Traffic jams, train delays, Davina McCall and tractors are right up there. They don’t come close though when it comes to Ofsted. In contrast to the Chimp is the Human, the part of the brain that thinks logically based on facts and the truth. The trouble with Ofsted is that to my wayward Chimp, very little of what Ofsted offers is based on logic or facts. Instead, it comes down to somebody else’s perception of reality – their own feelings and impressions. In effect, the entire inspection process becomes troop warfare; a meaningless Battle of the Chimps – mine versus the lead inspector. A word of warning though. When recruiting your troop, your Chimp will be looking to recruit different people than your Human. In Chimp mode, you will want to be protected by people that share the same emotions and feelings as you. It will choose people based on what they can offer you and keep the troop safe. The Chimp seeks solace in people with superficial qualities such as looks and power. The Human has a completely different agenda, wanting instead to be surrounded by people of like mind who can offer companionship and friendship. The Human wants people with similar values who are reliable and predictable – soulmates and people with Humanity. Getting the balance right is not easy. And so it goes on to such a point that I’ve learnt to tame my Chimp and won’t let people steal my happiness. So to summarise, Peters offers the following exercise to help you create your own troop. Next time you find yourself back at base camp, try to find a few minutes to work through the exercise with your troop. 1. ESTABLISH WHO’S IN: Think carefully who is really in your troop and why. List members of your troop (both at home and at work) and ensure that the Human has chosen them. If the Chimp has taken control, then redefine. 2. CLARIFY ROLES: Be clear about what each troop member is offering you and what you offer in return. Only ask troop members to fulfill a role that is suitable so spend time with them being clear what each person brings. Be sure to share goals, values and beliefs. Get this right, and chances are you’ll find people queueing round the block wanting them to lead you. I certainly will. Much has been written about how crucial the first 100 days are for a leader in a new organisation. The temptation is to assume that if you haven’t made your mark by then, chances are you’ve blown it. We all know as teachers that the first few weeks with a new class are time-critical in terms of laying down markers and expectations. Boundaries need to be set, rules and routines established so that everyone is clear about how things are going to work around here. Nailing the climate or culture of learning is essential, and that begins and ends with you. It’s not quite as simple as this when taking up a new position as headteacher in a school, or in our case, sponsoring a new academy. You can’t just go in there and expect all the staff to fall into line merely because you are in charge. We’ve thankfully moved away from the days of the ‘hero head’ where authority and being the font of all knowledge were all you needed to get by. IQ has long been replaced by EQ. But even this might no longer be enough. What we now need is CQ: Cultural Intelligence, or the ability to experience and adapt to new environments in more complex situations without losing sight of our own values and core purpose. One thing you have to learn within those first 100 days is to live in the world you inherit. A culturally intelligent leader is able to navigate this and get to grips with a culture that is new and alien to them. This of course takes time and so the very best leaders need all three, EQ, IQ and CQ if they are to lead effectively and focus on the main thing. The trouble is, it’s not always that easy to know what the main thing is, especially in a school that may have become destabilised by the forces operating on it (of which you are one). Your gut tells you that the main priorities must be to fix things quickly like marking, feedback, planning, instruction, behaviour, routines, attendance and so on. Pretty much every Ofsted inspection report for an SM school reads the same and all of these are likely to appear in the report in some shape or form. As we approach the 100th day of sponsoring our newest academy, despite the complexities of IQ, EQ and CQ, over the years I’ve learnt that it all boils down to essentially three things: Aims, Beliefs, and of course, Culture. Aims: It goes without saying that being absolutely clear about what it is that you intend to do right at the start is essential. Make sure you tell your story so that everyone gets the same consistently clear message, regardless of how it might be received. As we’ll see next, perception is everything, so use every opportunity to re-enforce the fact that you will follow-up and you will follow-through. Wrapping this all up in a clear vision statement is also crucial so that people know the ‘why?’. If they understand your purpose and why it is that things need to change, then levels of engagement will hopefully increase. Beliefs: Perceptions lead to beliefs and beliefs lead to action. The things that we believe in as adults, rightly or wrongly, are based on our perceptions of reality. The things that we believe to be true determine very much how we choose to act (take religion, love or the football team that you blindly choose to support). So, if as a leader you want to change the way people act and behave, then you may need to change their perceptions and beliefs. This often starts with getting people to ditch their limiting beliefs and instead adopt a more open mindset. Nobody likes change, but if people believe it to be necessary and understand why and how it will be achieved, buy-in is far more likely to follow. Engaging your staff must be your main priority and they will only do this if they believe in you, themselves and the vision. Culture: No matter how as a leader you try and re-culture an organisation, if the prevailing beliefs are holding you (and others) back, little will change. The development of a leadership culture is essential where everyone steps up and is prepared to embark on a voyage of understanding and discovery. To not change is simply not an option. No matter what we know about genetics, human nature is not fixed. People can choose to change if they wish. Your aim as a leader is to build a culture where staff embrace the need to work hard at developing themselves and becoming more self-aware of how they can improve, regardless of how limiting or enabling their beliefs are. This is where your core values come into play. Up until now, during our first 100 days we have focused almost entirely on ABC. I’ve still yet to walk into a classroom and spend time watching how well the teachers can translate the curriculum into learning. I’ve flicked through the occasional exercise book but have yet to delve deep into how well the teachers assess pupils’ learning and feed this back to them. We haven’t tried to undertake any sort of data sweep, dump or analysis. Whether this is the right thing to do or not remains to be seen. Perhaps to some it may appear as if we lack urgency. But all of this is to come. The first 100 days do not mark the end of the story. Instead, it’s merely the end of the beginning. For those of you new to headship in September, take heed. The first 100 days aren’t about ripping up trees. Instead, use the time wisely to plant seeds. 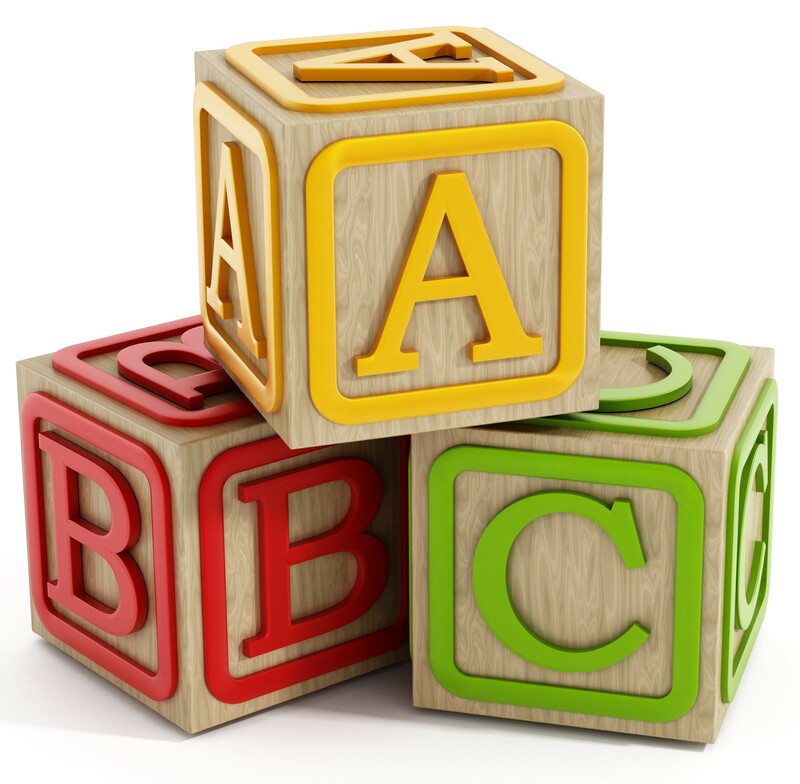 Of course it’s not as simple as ABC; the management of change is far more complex than that. What it does help us remember though, is that sometimes, if giant leaps of faith are required, going back to the basics is always a good thing. I am writing this in an Apple conference room in Cupertino, California as I await a transfer to San Jose airport. The past four days have been exhilarating to say the least. I’d even be so bold as to say it’s been the best PLD experience I’ve ever had. I am very grateful to be invited by Apple and SSAT to be a part it. It’s not every day you get invited to spend a week behind the curtain with Apple at their HQ. As I await the long flight home, I’m trying to use this time to reflect and make sense of all that I’ve seen. My head is spinning. Further, more in-depth posts will follow. Such as how impressive an organisation Apple are when you get to the core. It’s been such a privilege to be allowed behind the curtain and go places very few have been. To have walked the same corridors as Steve Jobs and to maybe have sat in a room where his team of ultimate disruptors changed our perceptions of everything, is very humbling. 2. Education in England is exceptional. What we are currently doing in our schools in terms of student collaboration, innovation and creativity is top drawer. When you have the privilege to visit other high-performing schools in other countries, it reaffirms your faith in all that you believe in and that as a profession we are well ahead of the game. 3. Culture is king. And at the heart of any successful culture is simplicity. We are all guilty of over-complicating things. If we want to tell our story in a way that is compelling, engaging and authentic, then we need to strip it right back. Always begin with the ‘why’. Everything else then falls into place. It’s been an absolute honour and privilege to learn with so many inspiring colleagues who themselves are all facing the same challenges back in their schools. But the schools and communities they serve are in safe hands because I’ve seen first hand – up close and personal – how passion stokes the fire in their bellies. I’m looking forward to spreading a bit of that warmth around my own colleagues on my return. For now though, I’ll spend the flight home mulling over even more how I intend to change the world.